Cyprus Comic Con is proud to announce comic book artist Luca Pizzari as one of our esteemed Special Guests for CCC16! Luca discovered comics and fell in love with the art of the Kubert Family (among others) when he was 9 years old and decided he wanted to do comic books for a living straight away. He never looked back once and has been drawing ever since! Now, much to his mother’s dismay (! ), he is a full-time comic book artist based between London, Rome and Rio de Janeiro. 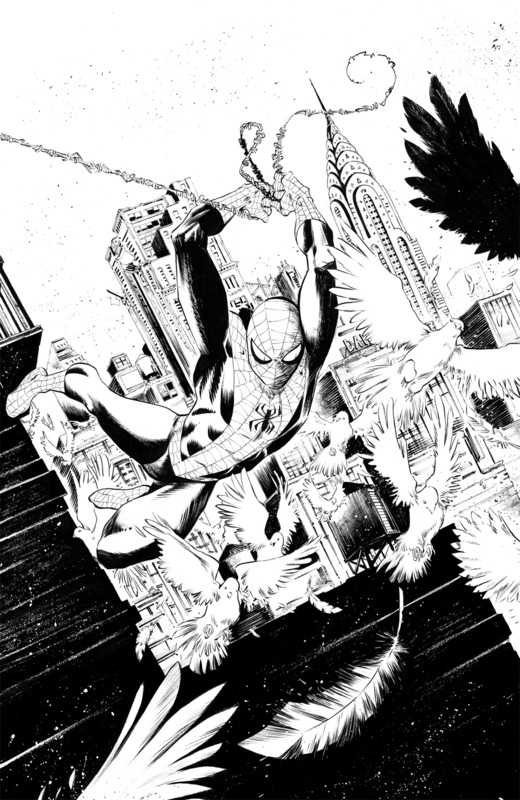 For more of Luca’s work, visit his personal blog and profile on Marvel Comics. After a pretty useless – according to Luca – Master’s Degree in Illustration from the Camberwell College of Arts (part of the University of the Arts, London), and A LOT of time alone locked in his room drawing, he got his first few comic jobs in the Irish scene, of all places, with the 3-issues mini ‘Glimmer Man‘ for Atomic Diner and the O’Brien OGN Queen of Storms. Soon after, a life changing encounter with Marvel artist Ed McGuinness and editor Nick Lowe brought him his first Marvel assignment, the ‘Spider-Man Special 2015‘, followed by a year-and-half-long stint on ‘Secret Wars Journal #1‘, the ‘Secret Wars: Red Skull‘ mini series, and the ‘Black Knight‘ series which closed with issue #5. Luca is currently drawing the ‘Sons Of Anarchy: Redwood Original‘ prequel comic series for BOOM! Studios.